If you follow my posts here with any regularity, you’ve been part of a virtual book tour! When you see a post about a book that includes a review, a guest post from the author or an excerpt of the book, that is probably a stop on a virtual tour. Once upon a time, when an author wrote a book, she would go from town to town to promote said book at book stores, libraries and book clubs. It was the staple of a book contract back in the day when a small number of books were published by a few large presses. But today, things have changed. Books are published at a much larger rate, and neither traditionally nor independently published writers are sent on those kind of tours very often. Only the big names rate that sort of promotion. Instead, we use virtual book tours, where the author can promote her book to a large number of people worldwide. . .all without leaving home or even getting out of her pajamas. I co-own Promotional Book Tours, which is a company that sets up and runs these tours. Here’s how they work. An author comes to us and requests a tour. We offer several different options, from smaller, shorter tours to our larger, six-week versions. Once the tour is booked, we offer it to our very select group of bloggers, people with whom we work on a regular basis. They can sign up to host a stop on the tour or to simply participate in a promotional blast, which usually is the first day of any tour. A tour stop can be an excerpt of the book, a guest post written by the author, an interview with the author or a review of the book by the blogger or her designated reviewer. 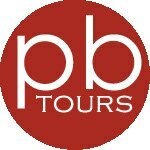 At PBT, most of our tours include two stops per day for the length of the tour. Most tours also include giveaways, with prizes that can range from book swag to Amazon Kindles. The giveaways appeal to readers and to bloggers; it brings traffic to the tour and allows the bloggers to grow their own following. It also increases the writer’s visibility in social media. At PBT, we also promote each tour stop heavily on our Facebook and Twitter feeds. With some tours, we offer video interviews as well. Working at PBT is pretty cool. I have access to amazing books, work with the best bloggers in the cyber world and meet the finest authors and readers. If you’re an author looking for a way to increase your presence in social media, raise the visibility of your book(s) and establish a strong base of book reviews, a cyber tour is an excellent idea. If you’re a blogger, hosting tour stops will give you both content and traffic. If you’re a reader, following these blogs and tour companies like PBT will give you a head’s up on the best books around and allow to get to know the authors. For more information, click the PBT link above or visit our Facebook page.